Save 50% off select Clif Mojo Bars with this clippable coupon. 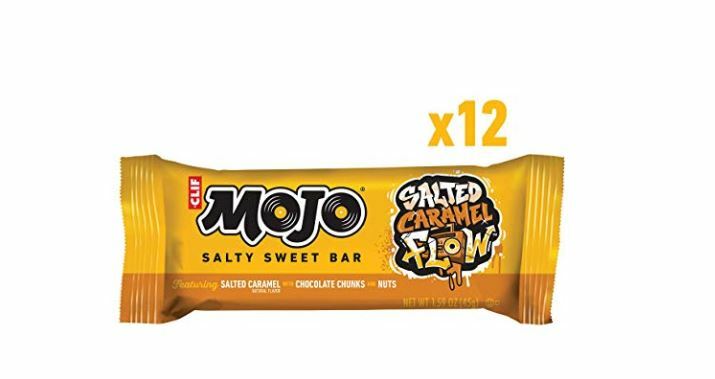 Get Clif Mojo Bar Salty Sweet Snack Honey Srirocka or Salted Caramel Flow, 12 Count for just $7.74 when you clip the 50% off coupon. Mix it up at snack time with CLIF Mojo Bars, available in four bold, unexpected flavor combinations. Each tasty snak bar is made with high-quality, nutritious, non-gmo ingredients, including a belnd of whole, recognizable foods like organic nuts, grains, and seeds.